Often times, we drool over the electronics packages available to big boats where money is no object and many technologies have trickled down into units designed for regular boaters and fishermen. 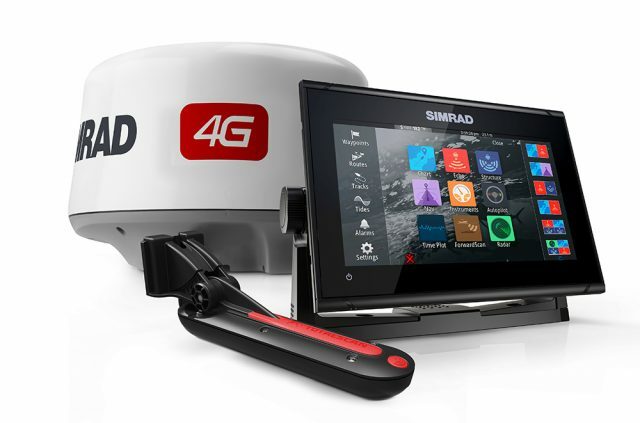 Simrad’s GO Series was designed with this in mind and has been very well received by boaters of all walks. The GO Series is packed with features and has a user-friendly multi-touch controls that are very familiar to anyone with smartphones and tablets. 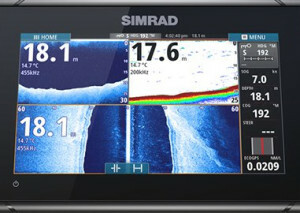 The GO9 XSE is the most recent addition to this popular line in Simrad’s products. The new 9-inch screen makes adding waypoints, viewing charts and seeing vital information a cinch. The GO9 XSE is fully capable of displaying Simrad’s Broadband 3G/4G Radar systems and SiriusXM weather/radio (U.S. Only). The new units use a 10 Hz GPS receiver for incredibly accurate navigation as well as full sonar capabilities with StructureScan HD and CHIRP Sonar. The GO9 XSE can also integrated autopilots, engine data monitoring and full audio entertainment connectivity via their SonicHub 2. 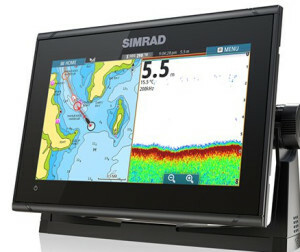 It also comes with wireless connectivity and the powerful Simrad TripIntel trip computer. The new GO9 XSE is feature-packed at an amazing price point so more boaters can enjoy and rely on Simrad’s high-end features. The Cruise Charting page combines crucial navigation data and charts into one easy-to-read display, while new TripIntel technology tracks and displays the key information needed to plan a safe and enjoyable day on the water. 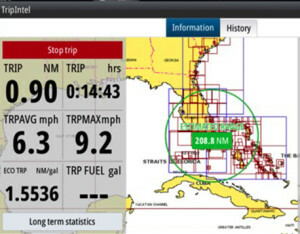 Fuel range overlaid on charts, current and future tide levels, and a detailed history of previous trips – including the route taken and how the boat performed – are all provided by TripIntel functionality. The Simrad GO9 XSE also connects to NMEA 2000® compatible equipment aboard vessels with either outboard or inboard engines to show fuel flow, fluid level, speed, heading and water temperature. A wide range of cartography options are available, including C-MAP®, Navionics® and more. Anglers can take full advantage of the built-in sonar by simply adding a suitable transducer for accurate, real-time depth tracking and fishfinding. A scrollable depth history view allows boaters to track back and easily set waypoints for promising anchorages. The TotalScan™ all-in-one transducer matches StructureScan® HD Imaging, DownScan Imaging™ and CHIRP sonar for picture-like views of the bottom on each side and beneath the boat as well as providing improved target identification at greater depths, a clearer display with less interference and enhanced target separation. ForwardScan™ sonar technology built into the GO9 XSE (transducer sold separately) also provides forward-looking, two-dimensional sonar views of the bottom depth ahead of a boat – a powerful defense against running aground and an invaluable tool for locating secure sites to drop anchor. GO9 pricing starts at $1,049 USD for models packed without a transducer. 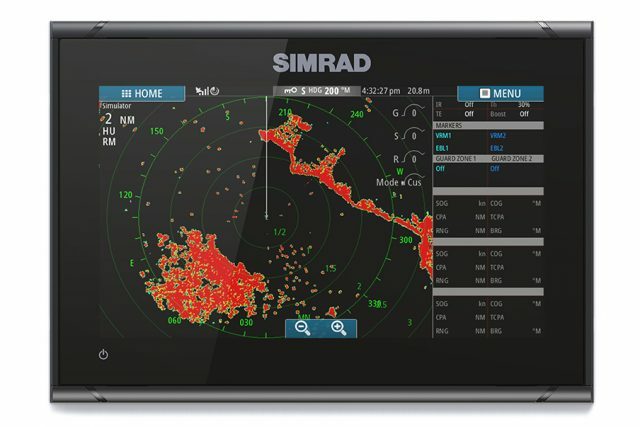 For U.S. consumers in 2016, the new Simrad GO9 XSE will be available exclusively at West Marine stores as well as westmarine.com, starting in November. Model selections will also include two exclusive bundles: GO9 with TotalScan transducer, Broadband 3G Radar and Navionics+ map card for $2,499, as well as GO9 with TotalScan transducer and Navionics+ map card for $1,299. 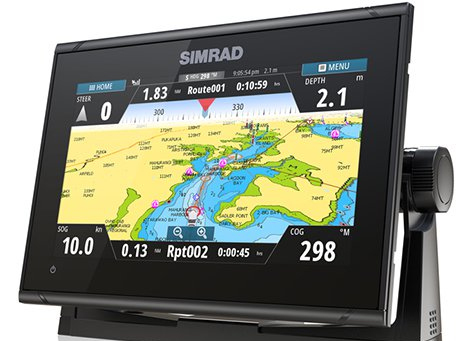 For more information on the Simrad GO9 XSE or the entire line of Simrad-branded marine electronics, please contact 800-324-1356 (toll-free) in the USA or 800-661-3983 (toll-free) in Canada or visit www.simrad-yachting.com.